5 Years In… and a Question for you! Today, WordPress wished me a Happy Anniversary! 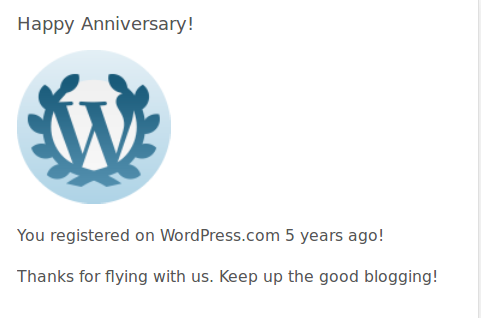 Apparently I started this blog five years ago today! This is a long blog. 17457 Spam comments caught by Askimet! Not bad for a caffeinated stream of consciousness, right?